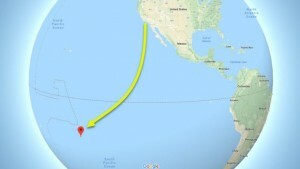 Los Angeles, CA (February 7, 2019) – The Transpacific Yacht Club and Archipelagoes Tahiti are organizing the 15th edition of the Transpac Tahiti Race in late May 2020. This is one of the world’s longest classic ocean races, a 3570-mile voyage from Los Angeles to Papeete first sailed in 1925. A small but influential group of boats and sailors are counted among the race’s alumni as only 72 entries have raced to Tahiti in its entire history, with the last edition held 7 years ago in 2012. But with strong interest for the contest, over 30 guests attended Los Angeles Yacht Club today to learn the details. The first start of the Transpac Tahiti Race 2020 will be on May 28, with possible other start dates depending on the size, speed and style of yachts that enter. 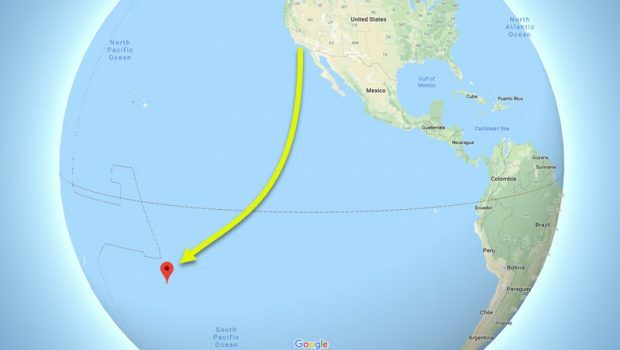 The details of the Notice of Race are still being refined, but the basic structure is in place: the race is open to Monohulls of at least 40 feet in length and Multihulls at least 45 feet in length, the start held south of Point Fermin in Los Angeles and finish in Papeete in Tahiti. John Jourdane is one of the most respected navigators in trans-Pacific ocean races, having amassed an outstanding list of 18 Transpacs, four Pacific Cups, three Vic-Maui and three Tahiti races, and has some thoughts about this race. “The Hawaii Transpac is a sailor’s delight,” reports Jourdane. “Other than a possible rough, cold first two or three days, it is a warm, fast downwind run to Hawaii. The navigation is pretty straightforward: a close reach to the desired waypoint to cross the north Pacific high ridge to a chosen isobar – Stan Honey calls it the ‘slot’- and then run down the slot across the Pacific until you reach your desired layline into the finish. Every day it gets warmer and the trade winds supply great wind and waves for surfing. ” In comparison, the Tahiti Race is a lot different. It is 3,570 miles instead of 2,240 miles. After the start, and rounding the West End of Catalina Island, you put up the spinnaker, and run for several days southwest past Mexico. Then the easterly trades build and you beam reach in a lot of wind for a few days. “Next you have to find the narrowest area of the ITCZ (doldrums), where there will be little or no wind and lots of rain squalls. Once you cross the Equator, the southeast trades will fill in and it can be a very windy, rough beam reach or close reach to the finish in Papeete. Jourdane plans to do both races in this next cycle: the 50th Transpac this year on Mr Bill, an Andrews 70, and the 2020 Tahiti Race with a team yet to be named. Another incentive to try this race is the race record: set over 10 years ago in 2008 by Doug Baker’s Magnitude 80, the mark of 11 days 10 hours for an average speed of 13 knots would look tempting to nearly any of today’s ocean greyhounds.